Taking care of your body is just as important as taking care of your mouth. They are both essential to overall health and when something is “off” with your body, you should go to the doctor. The same goes for your mouth. Oral cancer does not discriminate and being aware of the signs, symptoms and risk factors is your best defense. What are the signs and symptoms of oral cancer and is it treatable? There are several signs and symptoms of oral cancer and in most cases, with early detection it is treatable. Cancer is not a word anyone wants to hear. Regardless of where it is in the body, and oral cancer, mouth cancer is no exception. Cancer of any kind is an uncontrollable growth of cells that damages the surrounding tissue. Oral cancer appears as a sore in or on the mouth that does not go away. Oral cancer can affect the tongue, lips, cheeks, sinuses, hard and soft palate; truly any part of the mouth and can be life threatening if not treated. Oral cancer is part of the head and neck cancers. And since many people know very little about cancer, especially oral cancer, continue reading to learn more about symptoms, risk factors, and more. Often times oral cancer is mistaken for a toothache or cold. However, if any of the following symptoms persist for weeks, you should see your doctor, as oral cancer may be present. Common symptoms include: persistent mouth sore or pain, a lump or thickening in the cheek, white or red patches throughout the mouth, a sore throat feeling, difficulty swallowing or breathing, numbness within the mouth, loosening teeth, bleeding in the mouth, a lump in the neck, or any other unnatural pain or discomfort in the mouth. If you notice any or all of these symptoms, the sooner you notify your doctor, the sooner treatment can begin. There are nearly equally as many risk factors of oral cancer as three are symptoms. Although cancer can happen to anyone, there are specific factors that significantly increase the chances of developing oral cancer. You may be more likely to develop oral cancer if you have one or the following risk factors: smokers- including smokeless tobacco users, excessive alcohol consumption, family history of cancer, excessive sun exposure, or if you have HIV. 25% of people diagnosed with oral cancer actually do not have any of these risk factors. Prevention is easy, but of course not guaranteed. A few simple tricks to preventing oral cancer include not drinking or smoking too much, eating a well-balanced diet, limiting sun exposure, and visiting your dentist at least once a month. Although prevention is only a small barrier, it is the first step. Other than that, beating cancer is all about staying informed, so now you know. 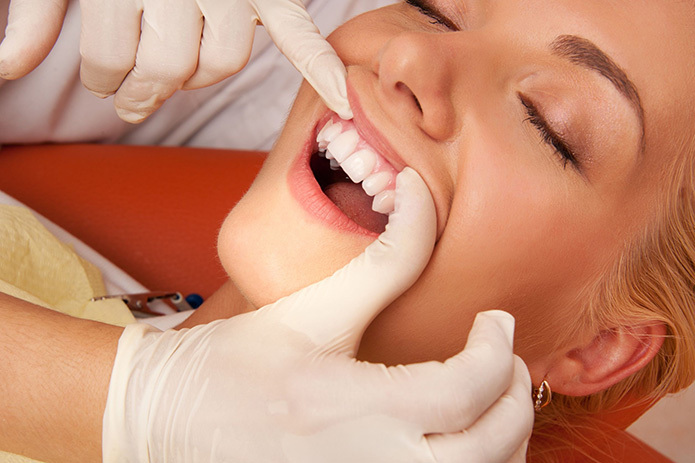 Regular dental check ups and proper oral hygiene practices are always recommended. It’s a smart way to keep your mouth healthy as well as your overall health. Always call your dentist if you see or feel anything out of the ordinary in your mouth. Ask questions, and don’t ignore the signs. Sedki Dentistry, Commerce Twp, MI is a complete Family Dental Office that offers services for all dental health concerns. With a warm and welcoming environment, the latest equipment and state of the art technology and over fifteen years of skill and experience, you will receive the highest level of dental care. Long term dental health and a beautiful smile is our goal and we have a long history of helping individuals who suffer from dental fear and anxiety. Call Sedki Dentistry today!